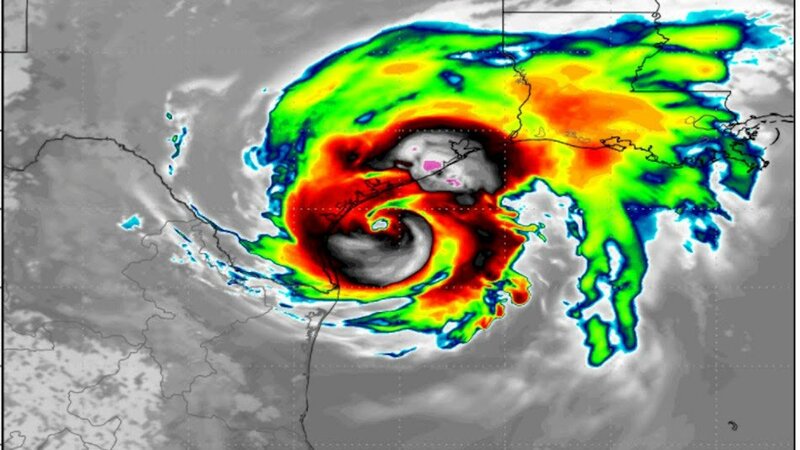 Hurricane Harvey caused catastrophic rainfall-triggered flooding in the Houston metropolitan area and ties with Hurricane Katrina as the costliest hurricane on record. Harvey underwent rapid intensification and quickly became a Category 3 hurricane on the Friday before it made landfall, then Friday at 2 PM (120 mph sustained winds) and then a Category 4 hurricane (130 mph sustained winds) early Friday evening. As Harvey slowly approached the coast, the National Weather Service in Corpus Christi issued a rare Extreme Wind Warning. Extreme wind warnings are issued for landfalling major hurricanes with winds of 115 mph or higher. Harvey was forecast to have winds in the eyewall between 115 and 130 mph. Within a span of four days, several areas received more than 40 inches of rain as well as an unprecedented level of intense flooding. 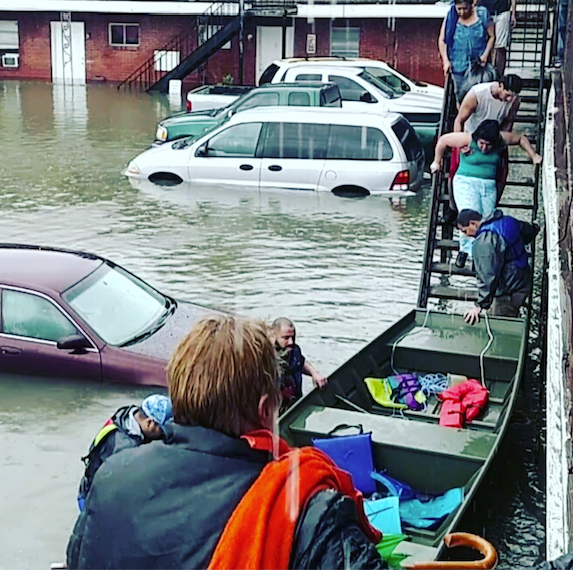 The resulting floods from Hurricane Harvey displaced more than 30,000 Texas residents, destroyed thousands of properties and homes, and prompted more than 16,000 rescues. 23 of those rescues were by Complete’s owner John Minor. It also caused innumerable casualties as well as 108 confirmed deaths: 107 in the United States and even one in Guyana. Houston is home to almost 1 in 12 US workers. It was left crippled after a deluge of riding floodwaters and rain struck the state, which is the global center of the oil industry. 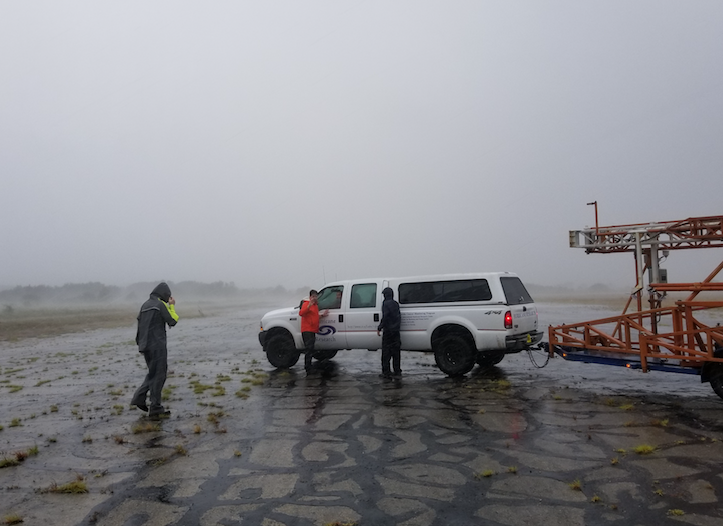 Hurricane Harvey truly tested the state of Texas’s resilience as it suffered extensive property damage and bore the brunt of Hurricane Harvey’s Category 4 winds. The National Oceanographic and Atmospheric Administration (NOAA) estimated that Hurricane Harvey had cost around a total of $125 billion in damages. Thousands required rescue, and an estimated 336,000 people were left without electricity throughout Texas. 68 people died from the direct effects of the floods whereas 35 from the indirect effects in the hurricane’s aftermath and flooding. More than 48,700 homes were struck by Harvey throughout the state, of which more than 17,000 that suffered major damage and over a thousand that were completely destroyed. Around 32,000 of the houses sustained minor damage. Moreover, around 700 businesses were significantly damaged too. By September of 2017, approximately 30,000 people were displaced. The devastation caused by Hurricane Harvey is unprecedented and requires serious restoration efforts. In February 2018, it was announced that new funding will be allotted to aid Texas in recovering from the devastating effects of Hurricane Harvey as well as to reduce the potential future risks of a flood in the region. The state is slated to release around a billion dollars as funds from the Federal Emergency Management Agency (FEMA). These hazard mitigation funds will work under the Texas Division of Emergency Management. Moreover, there has also been a passage by Congress of disaster relief funding recently that totals around $89 billion will also be available in the coming months. All Texas areas that were affected by Hurricane Harvey are now permitted to apply for a fraction of the funding in the form of federal money. It is meant to cover everything from restoring sand dunes, developing new seawalls as well as buying out flood prone homes and properties. The idea is to make the state more resilient in case of a future natural disaster, as well as help the currently affected people recover from their losses. In fact, after a natural disaster occurs, FEMA’s long term strategy involves allotting disaster mitigation money as a standard step. The state is expected to receive just around a billion dollars as hazard mitigation funding from the Federal Emergency Management Agency with half of this finding being available immediately – $500 million of the funds are already available and will be received by Texas on or before 25th August, 2018. Press releases also reveal that additional funding could potentially become available as FEMA approves and processes project proposals. In fact, Congress had recently granted $5 billion in Community Development Block Grants as well as the rest of the $89 billion in disaster-relief funding, that the U.S. Department of Housing and Urban Development will soon make available. Texas Governor Greg Abbott stated that federal funding sources have been secured to cover at least 25% of the approved Harvey-related projects, whereas the rest of the 75% will be covered by FEMA money. Abbott also provided updates on the long awaited $5 billion dollars’ worth of Community Development Block Grants that the Congress had approved Harvey recovery in the fall. He said these grants will be administered by the Federal Department of Housing and Urban Development and are to cover 100% of the cost of housing projects, economic revitalization, infrastructure and disaster relief for individuals as well as the local governments. Continuing on that the $5 billion dollars in grants will be available by the end of March, and ensured that a fast track process was being followed to make the grants accessible quicker. He informed that the Texas General Land Office is responsible for issuing the state plan that must then be approved by the HUD. Large scale channeling of waterways. Projects in order to reduce potential flood risk (floodwalls levees, basins, retention, and dams). Projects in order to reduce the severity as well as the frequency of floods in the region. Reservoir and drainage projects in order to eliminate future flooding. Elevations and buyouts of properties that are vulnerable to flooding. The cities and counties in the region, as well as the The Texas Division of Emergency Management began to submit applications for the projects immediately. The funding is expected to play a significant part in helping Texas heal from the aftermath of Harvey.